Bored of the same old workout classes? You’ll get a workout second-to-none at our Gold Coast fitness kickboxing classes and have a whole lot of fun at the same time. 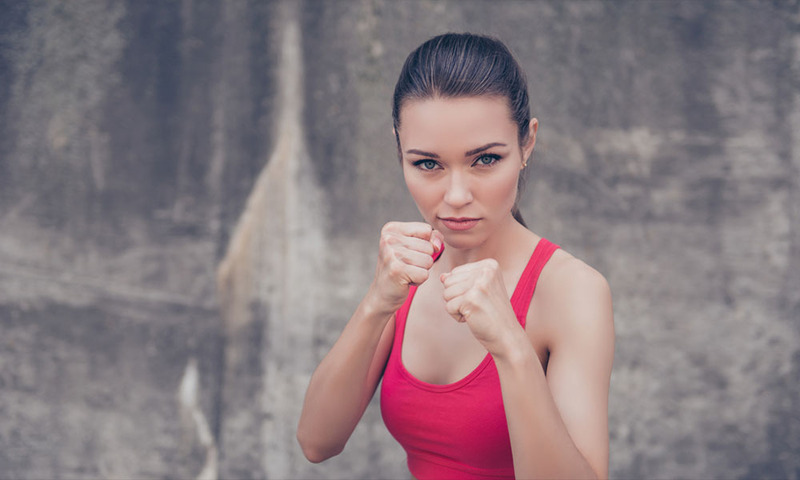 Kung Fu and kickboxing principles are combined in FitLife Martial Arts’ Kickboxa sessions, and whether you’re a regular gym bunny or a newbie to the fitness scene, you’ll be able to keep up. The Kickboxa programme was created by a professional martial arts master with two-and-a-half decades of experience. You’ll work as hard as you’re comfortable with and learn the basics of kicking and punching – invaluable self-defence skills – while you’re burning fat and giving your body and heart a healthy and safe workout. The beauty of Kickboxa classes is that because they’re led by professional coaches you get all the benefits of a personal trainer within the vibrant and motivating atmosphere of a group class. That’s ideal if you’re starting out and need some guidance and encouragement and a great experience if you’ve worked out this way before. You don’t need any martial arts experience; you only need a great attitude and a willingness to push yourself and have fun. Because you work at your own pace, you’ll never feel uncomfortable; the atmosphere is entirely non-judgemental and supportive. The only person you’re competing with is yourself, and you’ll be amazed by your progress when you commit to regular Kickboxa classes. Each session lasts 45 minutes – that’s three-quarters of an hour of intense fat-burning exercise that will increase your strength and flexibility and give your confidence a healthy boost. Every class concludes with meditative, stretching exercises that will ensure you walk away feeling relaxed, and energised, ready to take on the world because you’re a little bit stronger than you were 45 minutes earlier. The skills you’ll learn will empower you in so many ways, making this a form of exercise that offers benefits well beyond just the physical. Kickboxa will give you the motivation, encouragement, support and tools you need to strengthen body and soul. Morning and afternoon classes are available, so drop in for a look around or book a session and try our kickboxing fusion classes to boost your fitness and strength Gold Coast-style at FitLife Martial Arts.